The nice folks at Chobani recently sent me a ton of Greek yogurt. I am not a huge fan of eating Greek yogurt by itself, but I love to cook with Greek yogurt. 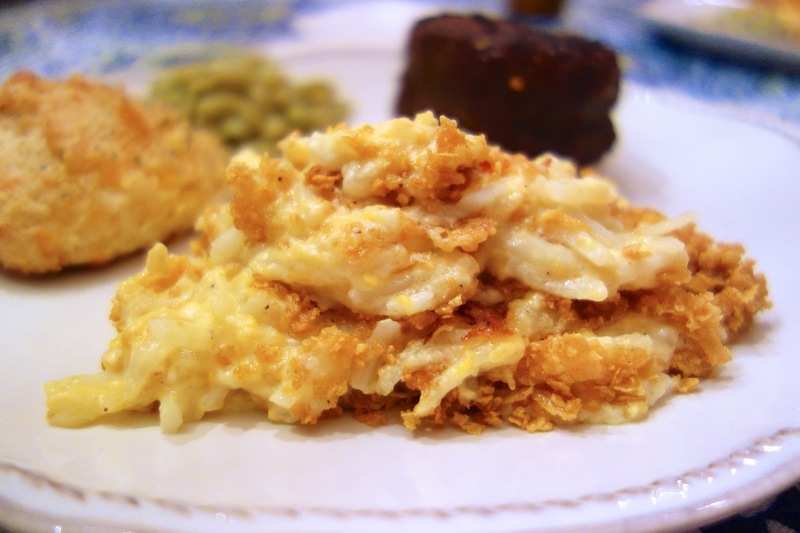 The first thing I made with the yogurt was this Cheesy Potato Casserole. I love potato casseroles, but they are full of fat and calories. 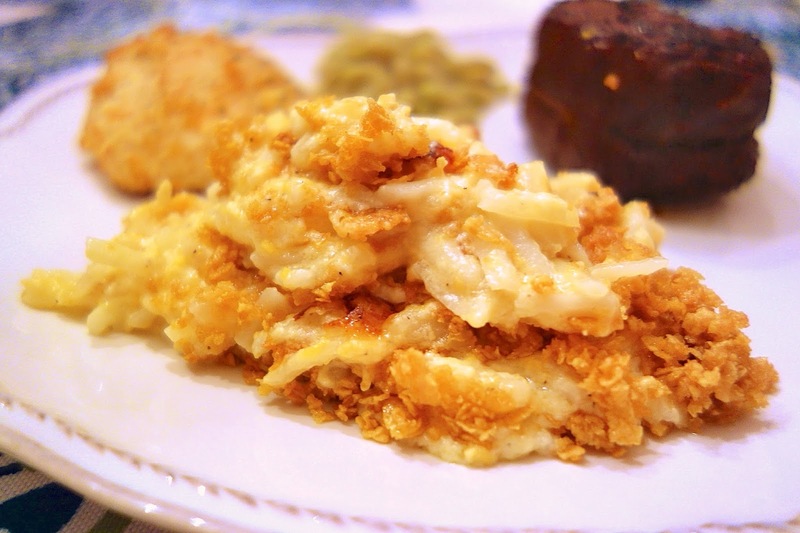 I wanted to see how a potato casserole would taste with Greek yogurt instead of sour cream. How did it taste? Super delicious! The casserole was super creamy. No one would ever know that this was made with Greek yogurt. By substituting Greek yogurt for the sour cream, I reduced the fat and calories and gave this casserole a lot of protein! I am making this a permanent substitution. The potatoes were some of the best I've made. I can't wait to make this again! Mix together first 7 ingredients and spread into a lightly greased 9x13 pan. Combine crushed cornflakes and 1/4 cup butter. Spread over potatoes. Careful-they just had a recall for suspected mold. Too bad-I love their product, but maybe right now isn't the best time to use it! I have never thought of substituting the sour cream with yogurt - I'm so glad I saw this post because of REALLLLLY LIKE cheesy potatoes. Thanks! These look amazing! Any recommendations for using raw potatoes instead of the hash browns? I have a huge bag of potatoes to use up and would love to make something like this with them. This looks amazing! What could I substitute for the cheese soup as we don't get this in Australia?